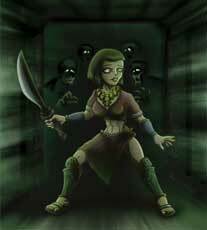 Ellia is one of the playable characters in Eternal Darkness: Sanity’s Requiem (2002) for the Nintendo Gamecube. 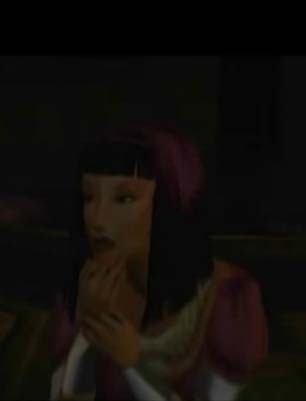 Elllia did not appear in any other games so far. 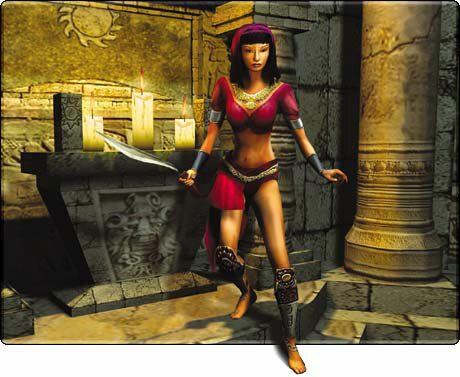 Role(s) and Characteristics: Protagonist Weapons or Martial Arts Style: Sword /Scimitar? I did not find any official illustrations of Ellia beside this render art. If there are any others, feel free to contact me via a comment! Ellia was one of the characters which were a big surprise to see claimed for our Nintendo challenge during October-November 2014. Shinragod drew her with some of the enemies she has to encounter during her chapter.